The turn of the year is always an ideal time to reflect on what’s gone before, so Goal has decided to take advantage of this most opportune occasion by trawling through the most memorable quotes of 2014. 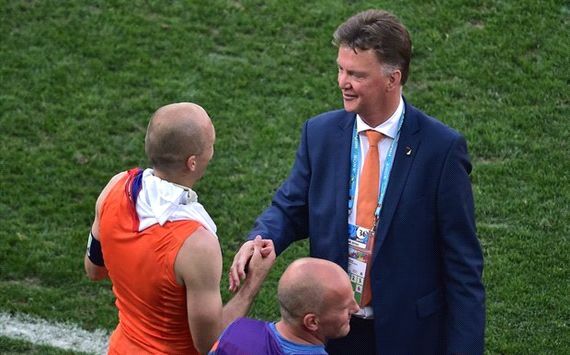 – Arjen Robben comments on the bizarre rumours regarding the key to Louis van Gaal’s success as Netherlands coach. 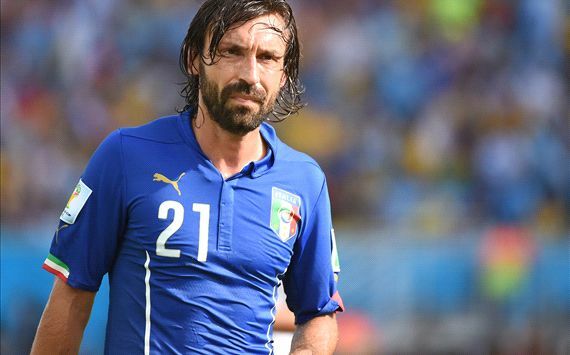 – Andrea Pirlo dismisses the importance of pre-match warm-ups with typical creativity. – Say what you will about Fifa president Sepp Blatter but he is nothing if not an ideas man. – Italian Referees’ Association (AIA) president Marcello Nicchi argues that it is possible to get too close to the action. Or that some things are better left to the imagination. We’re not quite sure. – Sampdoria boss Sinisa Mihajlovic argues against closing stands as a punishment for crowd trouble, in his own inimitable fashion. – Unfortunately, Mario Balotelli was unable to inspire Italy to a World Cup win over Los Ticos. – Brazil striker Fred reminds everyone of the old adage that ‘they all count’ after ending his World Cup goal drought with an unorthodox finish against Cameroon. – Daniele De Rossi admits that he was less than impressed when he googled Rudi Garcia after the Frenchman’s appointment as Roma coach and found a Youtube clip of his new boss playing guitar and singing ‘Porompoper’. – Former Sunderland boss Roy Keane reveals why he decided against making a bid for Robbie Savage. – Pirlo reveals that he has always preferred scoring on the field to off it. – Thomas Muller marvels at the resilience of nature after Germany’s win over France in the searing heat of Rio de Janeiro. – Luis Felipe Scolari. July 8, 2014. – Former Valencia ace David Albelda is left in a state of shock after Los Che are denied a place in the Europa League final by a last-minute strike from Sevilla. – Ronald Koeman offers a wonderfully blunt appraisal of Southampton’s situation after an unlucky 2-1 loss to Manchester United. – Antonio Conte takes a not-so-subtle dig at Juventus over the size of his summer transfer kitty shortly before parting company with the Italian club by mutual consent. – Coach Jurgen Klopp calls it like he sees it as Borussia Dortmund end the year inside the Bundesliga relegation zone. – Uruguay captain Diego Lugano was more than a little bit upset by Luis Suarez’s suspension for biting Giorgio Chiellini. – Steve Gerrard opens his heart after leading England to an embarrassing first-round exit at Brazil 2014 just over a month after Liverpool blew the chance to win a first Premier League title in 24 years. – Luis Suarez proves himself as creative and inventive off the field as he is on it, after being accused of biting Chiellini during Italy’s World Cup win over Uruguay. 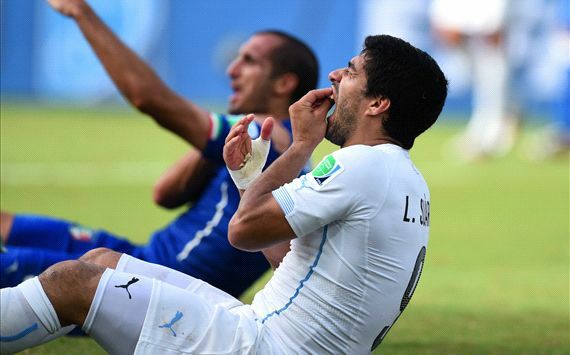 – Uruguay captain Lugano inexplicably blames Chiellini for a making a meal out of Suarez trying to make a meal out of him. – Manchester United striker Robin van Persie explains that his team-mates are to blame for his dismal goals return during the 2013-14 Premier League season. – Sergio Ramos attributes his club’s 4-3 Clasico loss to Barcelona to biased refereeing from jealous officials. – Ex-Inter boss Walter Mazzarri takes excuse-making to another level after another poor performance, against Verona. Four days later he was fired. – Zvonimir Boban lays into Ballon d’Or holder Cristiano Ronaldo after Portugal’s first-round elimination at World Cup 2014. – Mourinho takes an umpteenth swipe at old rival Arsene Wenger, who would go on to end his trophy drought with Arsenal by lifting the FA Cup. – TV pundit Gary Neville was not exactly excited by the prospect of having to watch former side Manchester United face Liverpool, in light of the two sides’ underwhelming Premier League performances. 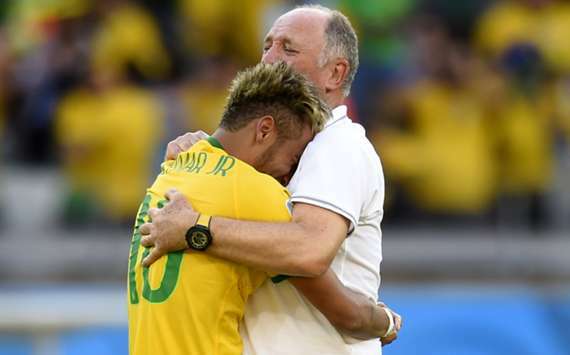 – Neymar’s agent, Wagner Riberio, bids farewell to Luiz Felip Scolari after his resignation as Brazil boss. 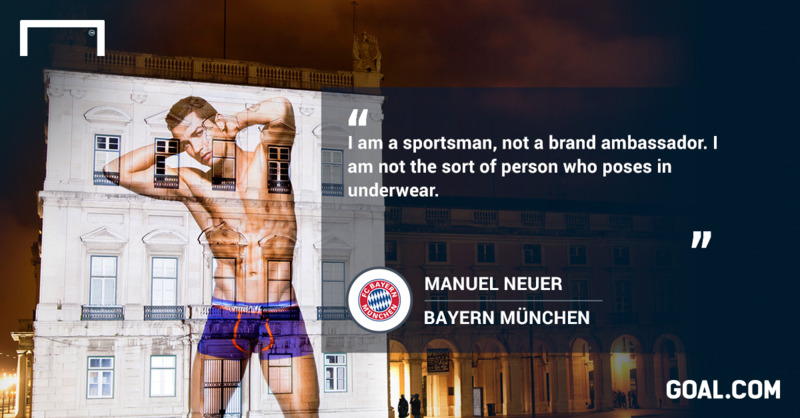 – Manuel Neuer stresses in no uncertain terms that he has nothing in common with Cristiano Ronaldo other than a Ballon d’Or nomination. – Jose Mourinho unsurprisingly refuses to sugarcoat things for Steven Gerrard’s benefit after being asked about the midfielder’s infamous slip in Liverpool’s loss at home to Chelsea in May. – Boban turns his attention to England and their underperforming players, who bowed out of the World Cup at the group stage and without a victory to their name. – Arsenal shareholder Alisher Usmanov makes it obvious that he no longer has any faith in Arsene Wenger’s methods. – Diego Maradona expresses his outrage at Inter striker and love-rat Mauro Icardi being invited to partake in a friendly game arranged to promote world peace. – Hull boss Steve Bruce was astounded by the fact that Gary Cahill escaped a second yellow card for his theatrics in a 2-0 loss to Chelsea. – Mourinho aims another verbal volley in the direction of Anfield, this time mocking Liverpool boss Brendan Rodgers for controversially fielding a weakened team for a Champions League clash with Real Madrid. – Former Liverpool goalkeeper Bruce Grobbelaar addresses Simon Mignolet’s alleged fear of crosses. – Mourinho undermines Roberto Di Matteo’s 2012 European Cup triumph with the Blues ahead of a meeting with the Italian’s current club, Schalke. – Norway defender Vegard Forren is less than impressed by the physical condition of England’s captain. – The one and only Boban launches a stinging attack on the limited footballing ability of Manchester United’s Marouane Fellaini. 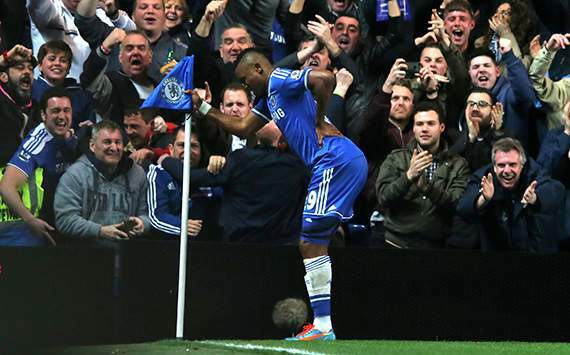 – Former Chelsea striker Samuel Eto’o shrugs off Jose Mourinho’s comments about his age before then demonstrating a fantastic sense of humour by celebrating a goal at Stamford Bridge like an old man. – Mario Balotelli loses it on Italian TV after being criticised by Sky Sport Italia pundits for a poor performance in AC Milan’s loss at Roma. – Sam Allardyce savours Mourinho’s enraged reaction to the “19th century” football West Ham employed in securing a draw at Chelsea. – Chelsea boss Mourinho defends Diego Costa and Cesc Fabregas against insinuations that they pulled out of a Spain squad with phantom injuries. – Napoli director of communications Nicola Lombardo issues a fantastic response to an English newspaper’s use of some lazy and offensive Mafia-related cliches in a story about the Italian city. – Thierry Henry pays tribute to the infallible Andrea Pirlo, after the midfielder strikes the woodwork with a swerving free-kick in Italy’s World Cup clash with England. – It’s fair to say that Atletico Madrid coach Diego Simeone was pleased with the belief and resilience his troops showed in their Champions League win over Chelsea at Stamford Bridge. – Carlos Queiroz salutes the otherworldly Lionel Messi after the No.10 earns Argentina a 1-0 victory over Iran with a sensational last-minute strike. – Arjen Robben reveals just how committed Bayern Munich boss Pep Guardiola is to his job. – Real Madrid boss Carlo Ancelotti expresses his gratitude for star forward Cristiano Ronaldo, scorer of a frankly ridiculous 25 goals in 14 Liga games. – Borussia Dortmund sporting director pays defender Sven Bender the ultimate compliment. 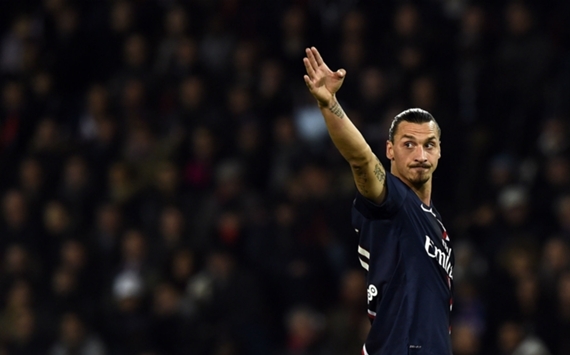 – Paris Saint-Germain youngster Jean-Christophe Bahebeck enhances Zlatan Ibrahimovic’s reputation as the most amusingly conceited character in football today. – Ibrahimovic expresses his ‘gratitude’ after coming second to tennis legend Bjorn Borg in a vote for the top 150 Swedes. – Cristiano Ronaldo responds with his characteristic lack of humility to yet another history-making goal. – Rene Meulensteen freely admits that he is no fan of Louis van Gaal’s people skills. – Even in defeat, Van Gaal still manages to big himself up, with the Dutchman reminding everyone after Sergio Romero’s heroics in Argentina’s shootout success against Netherlands that he coached the goalkeeper at AZ. 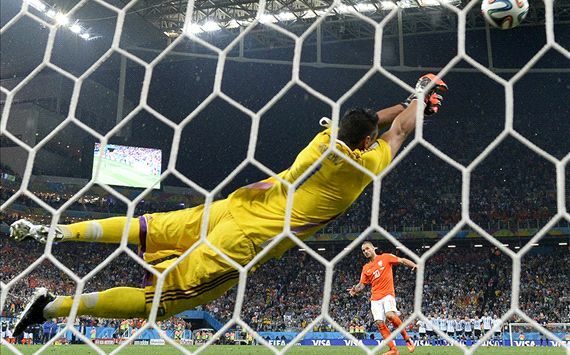 – Javier Mascherano’s words to Sergio Romero before Argentina’s World Cup semi-final shootout with Netherlands. The goalkeeper saved two spot-kicks as the Albiceleste triumphed 4-2 on penalties. – Whatever his issues with Alex Ferguson, Roy Keane retains the utmost respect for the former Manchester United manager’s ingenious team talks. – Joachim Low reveals what he told Mario Gotze before sending the attacker on to win the World Cup for Germany. 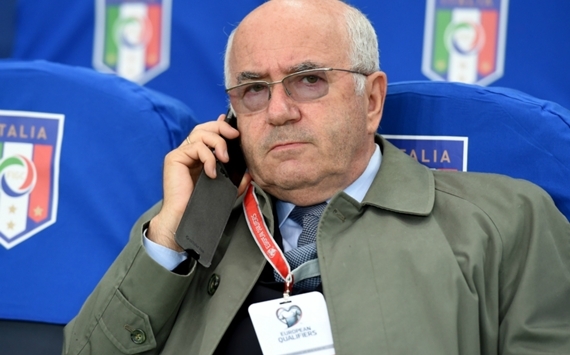 – Claudio Tavecchio shames the game with his horribly offensive views on foreign players in Serie A. Depressingly, the 71-year-old was still elected as the new president of the Italian Football Federation (FIGC). – Benoit Assou-Ekotto holds nothing back in explaining why he opted to represent Cameroon at international level rather than France. – Franz Beckenbauer momentarily pulls his head out of the sand to offer his opinion on reports of slave labour within the nation chosen to host the 2022 World Cup. – Cristiano Ronaldo pays tribute to the immortal Alfredo Di Stefano. 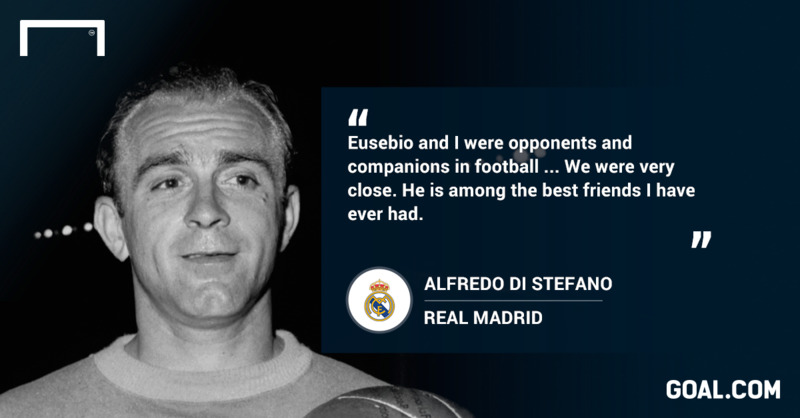 – Blancos president Florentino Perez gives thanks to a true legend of the game. – Former Manchester United goalkeeper Alex Stepney recalls the fact that Eusebio applauded him for making a crucial save from the Benfica legend in the dying seconds of normal time in the 1968 European Cup final, pointing out that Portuguese was not only a great footballer but also a wonderful sportsman. 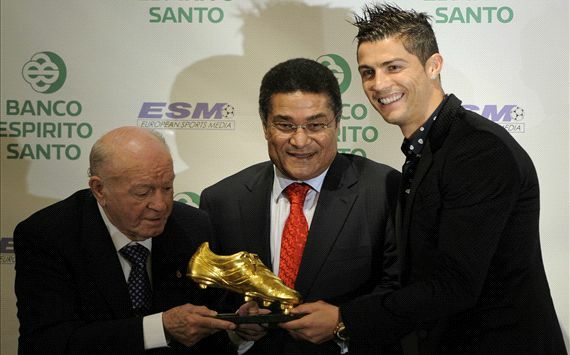 – The last word on Eusebio’s passing goes to Di Stefano. Friends and legends forever. Previous Previous post: Window watch: Who will Liverpool buy this January?